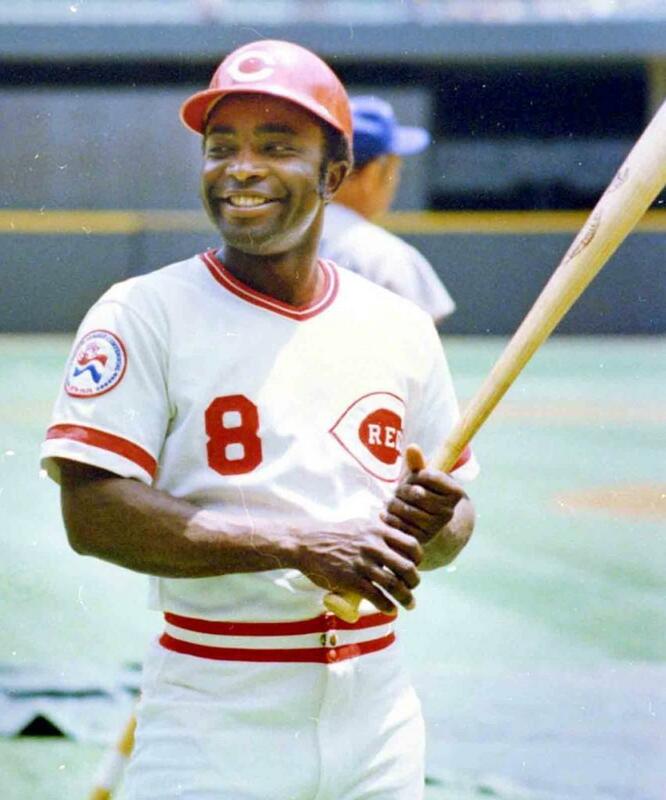 The pinnacle of Joe Morgan’s Hall of Fame career came in 1975 and 1976 when he won back-to-back NL MVP Awards and World Series titles. 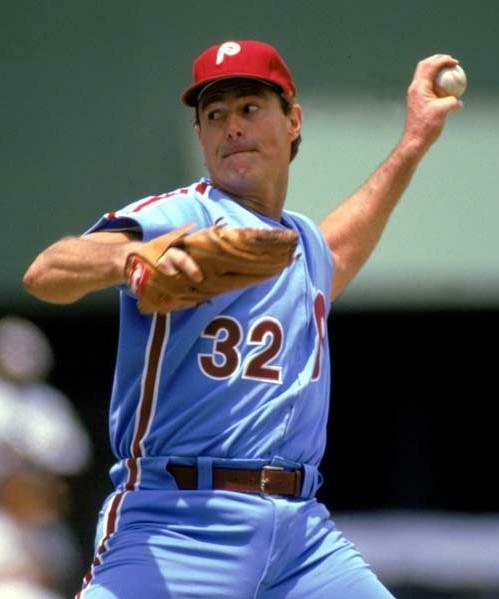 A junior college product, Morgan would initially report to the Class C Modesto team of the California League. 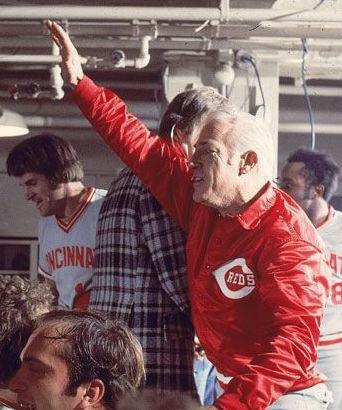 After concluding a 1978 season 2.5 games in back of the Dodgers despite winning 92 games, the Cincinnati Reds went on a goodwill tour to Japan. 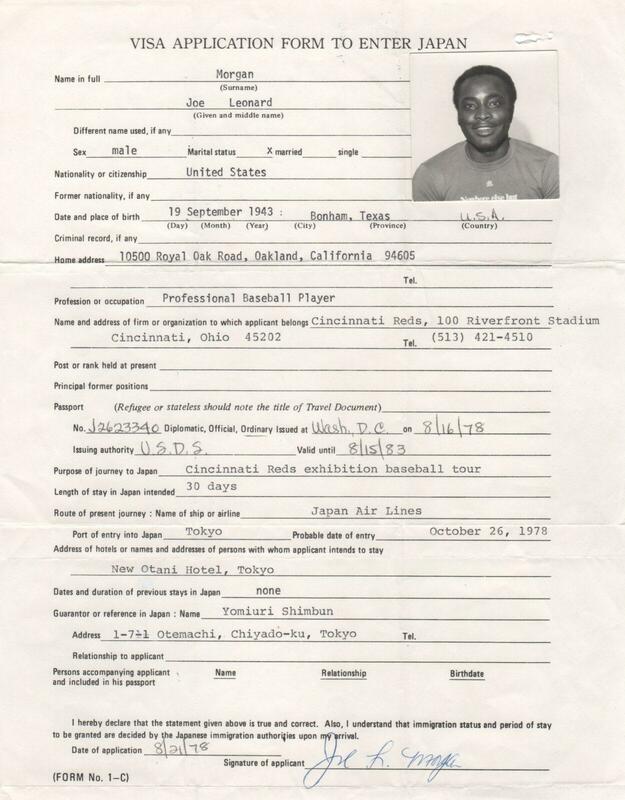 In the collection is the “Visa Application Form to Enter Japan” for Cincinnati second baseman Joe Morgan. The document shows October 26, 1978 as the Reds’ date of entry and lists Morgan’s occupation as, “Professional Baseball Player”. 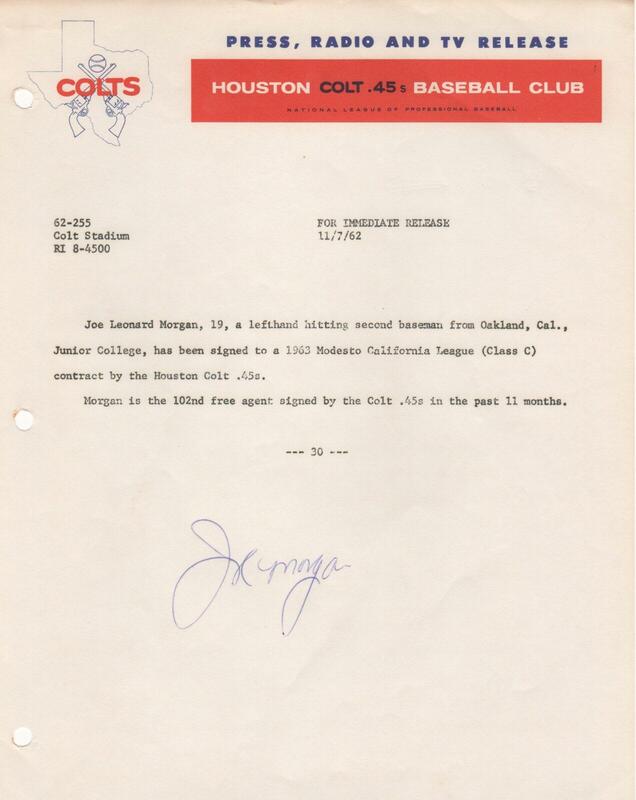 After signing with the Colt .45s, Joe Morgan would play parts of two seasons in the minors before coming up to Houston to stay in 1965. 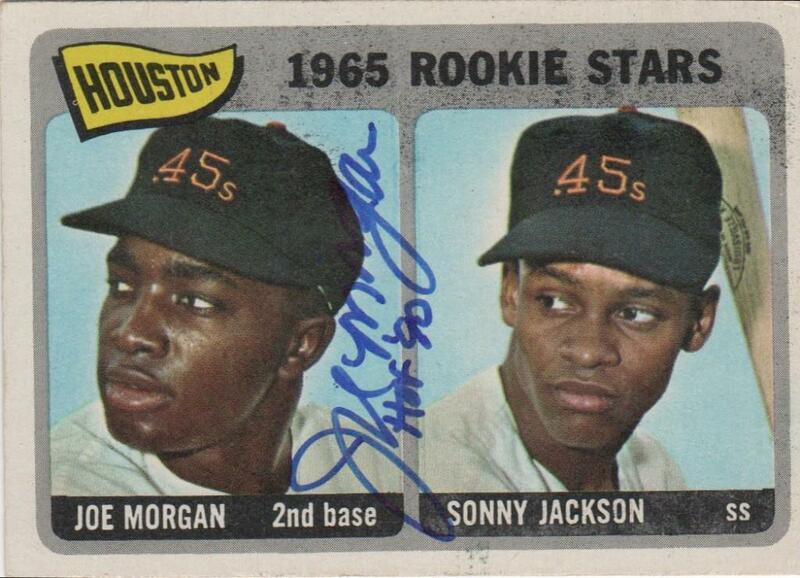 Morgan’s first nine big league seasons were in Houston, two when they were the Colt .45s. 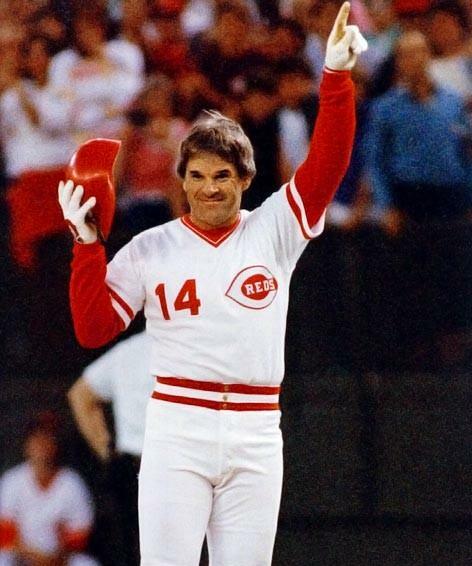 He also played for the Astros for the 1980 season after leaving the Reds. Shown here is Morgan’s rookie card autographed by the man better remembered for his time in Cincinnati. 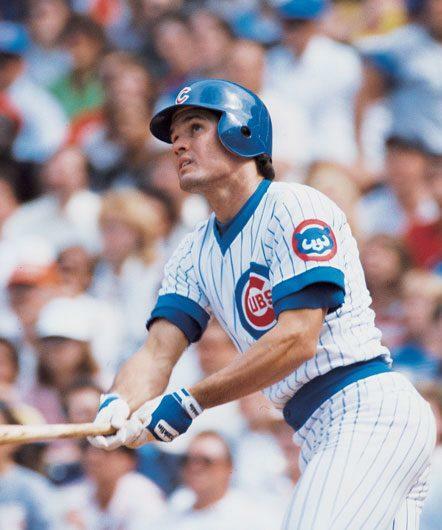 Morgan has added, “HOF ’90” after signing the card. 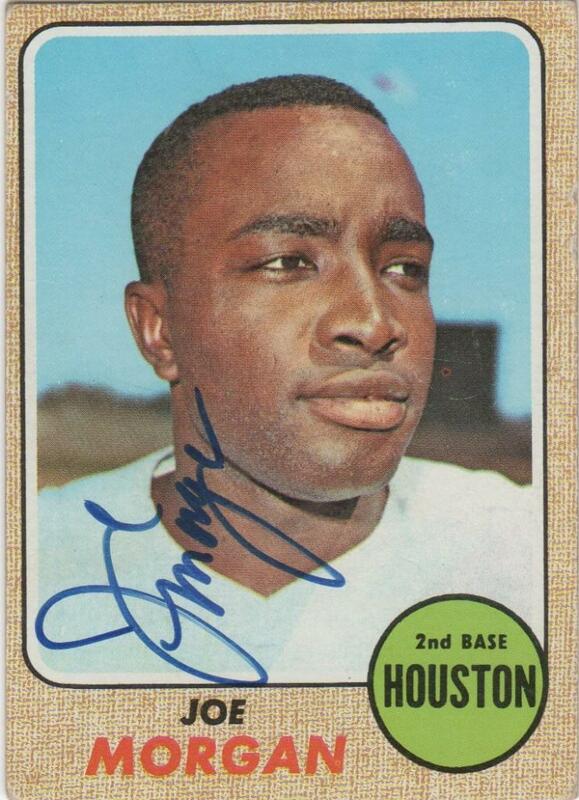 Joe Morgan was still with Houston when this card came out in 1968. 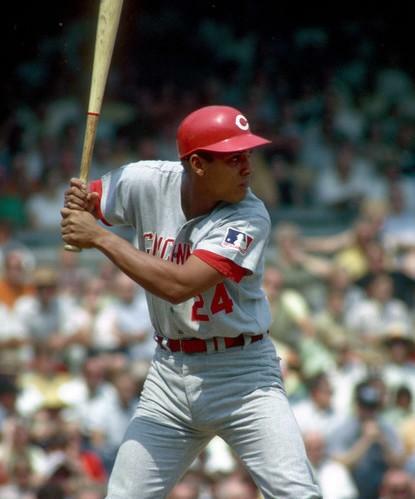 The Astros would trade Little Joe to Cincinnati as part of an eight-player deal in November, 1971. 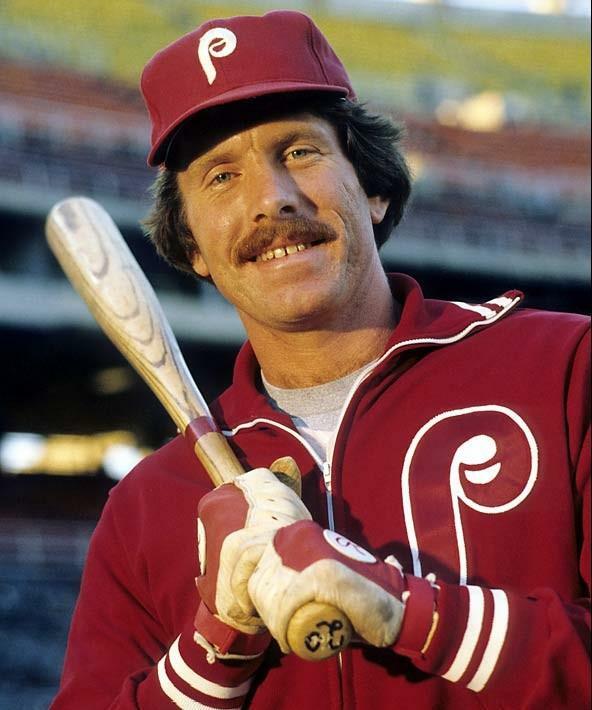 Morgan would go on appear in eight straight All Star games as a Red, capping it off with back-to-back regular season MVP awards and World Series Championships.